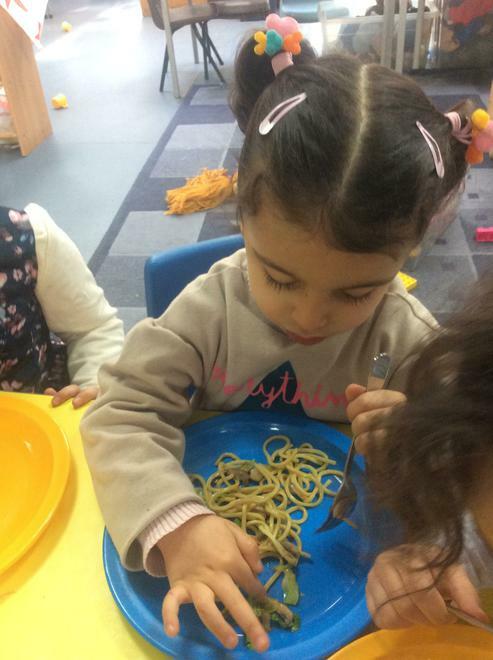 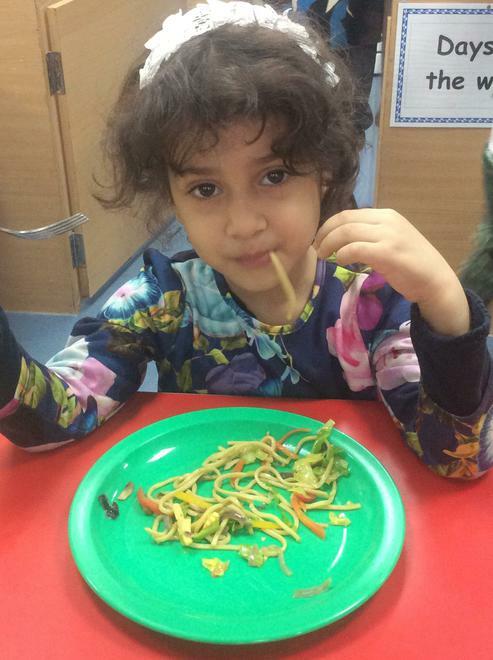 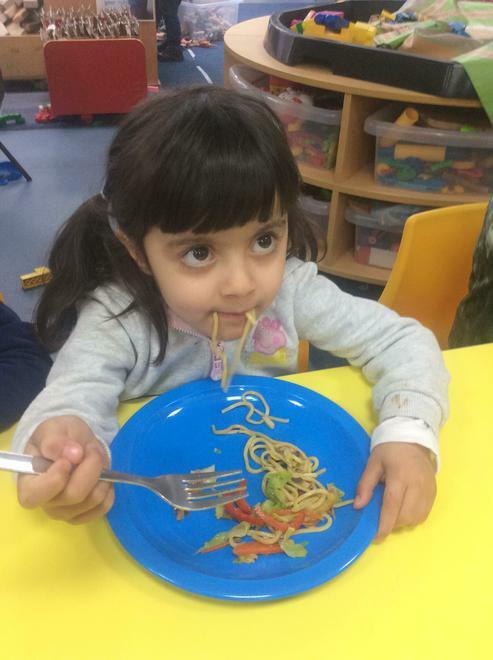 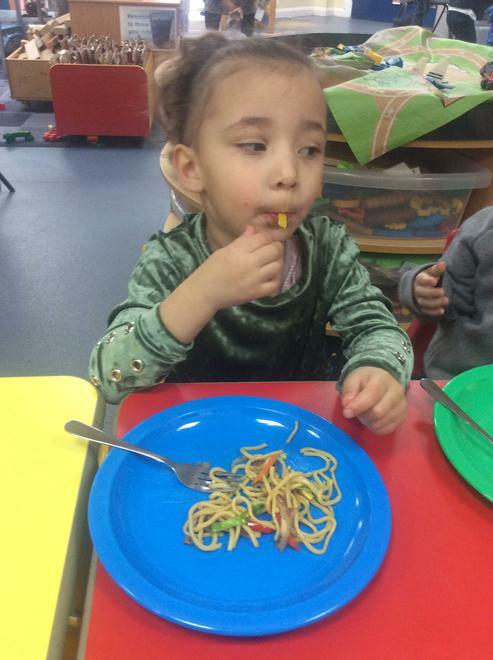 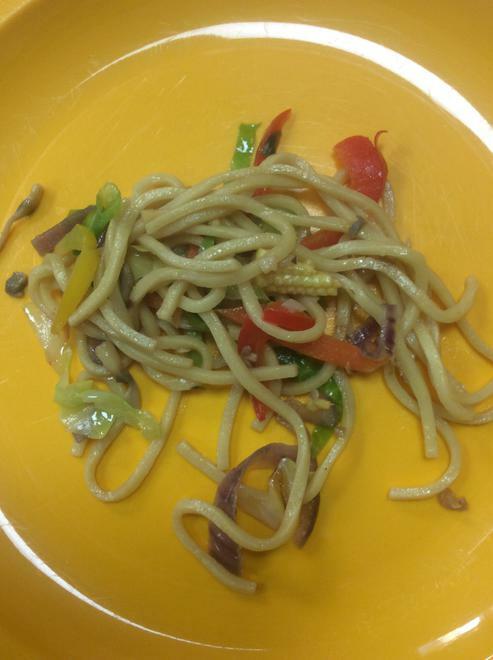 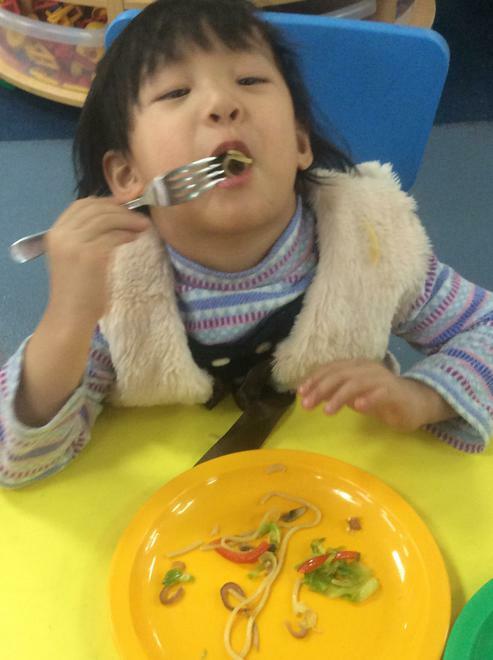 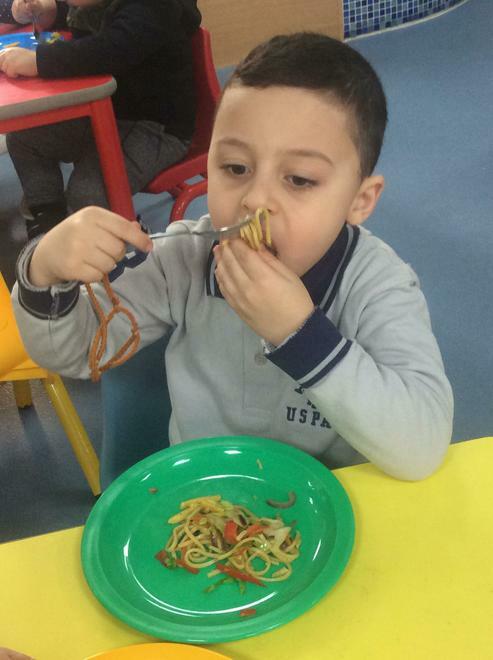 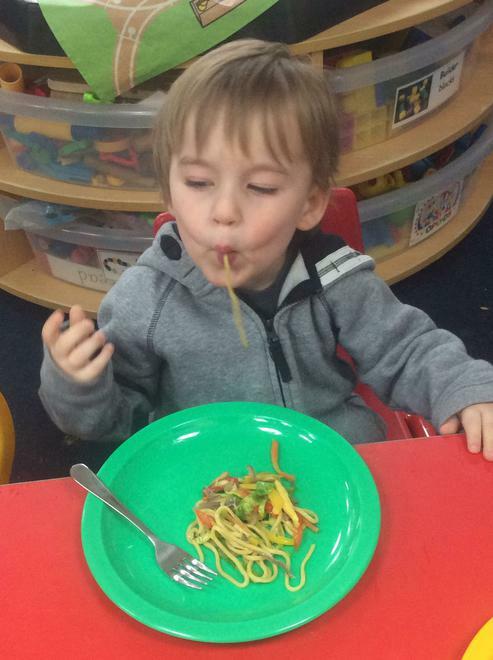 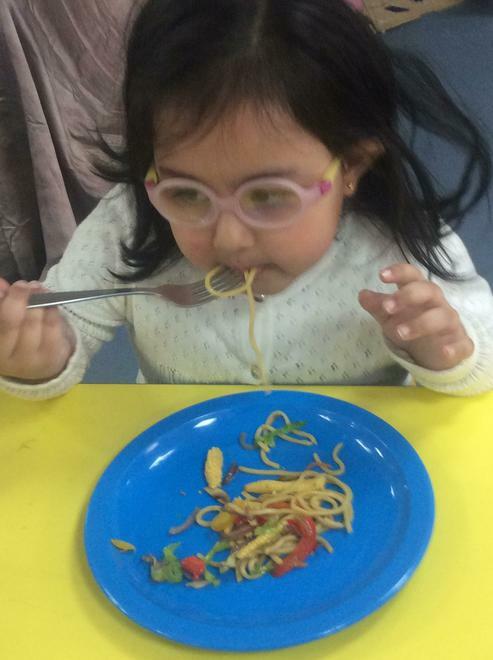 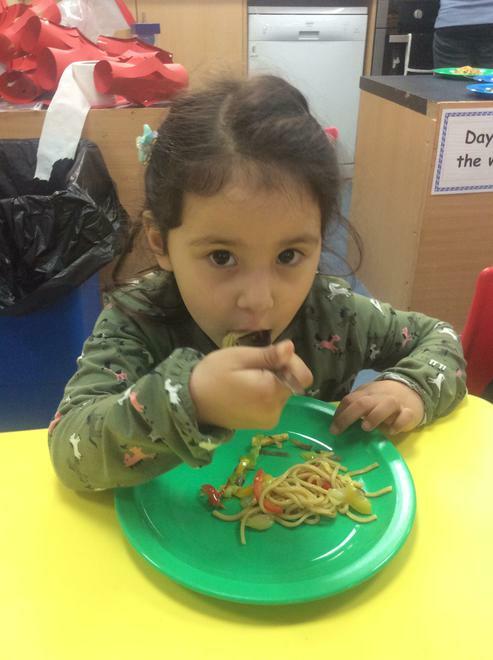 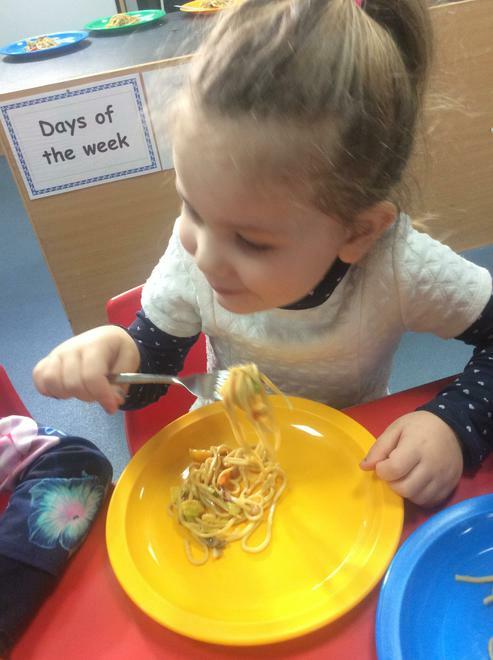 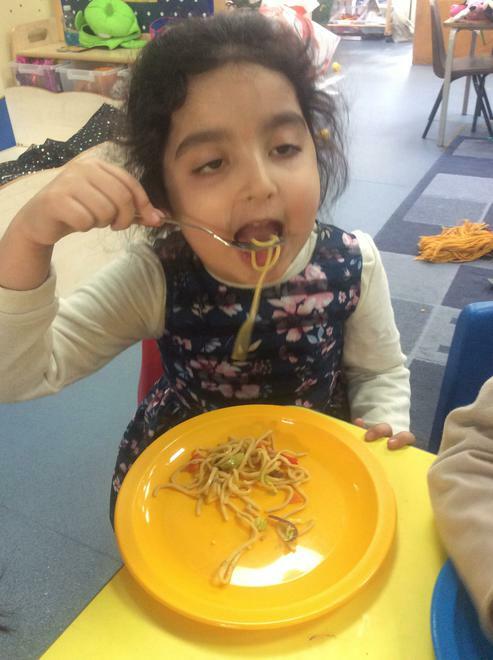 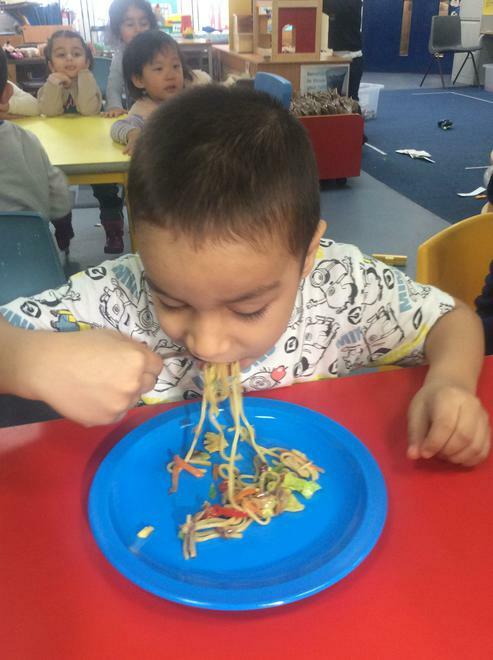 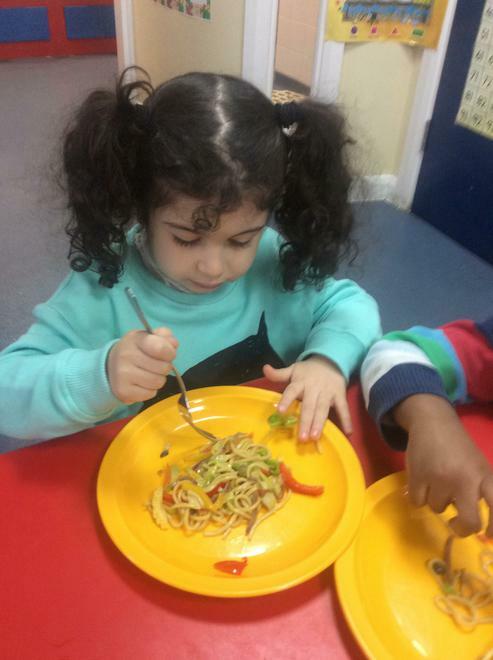 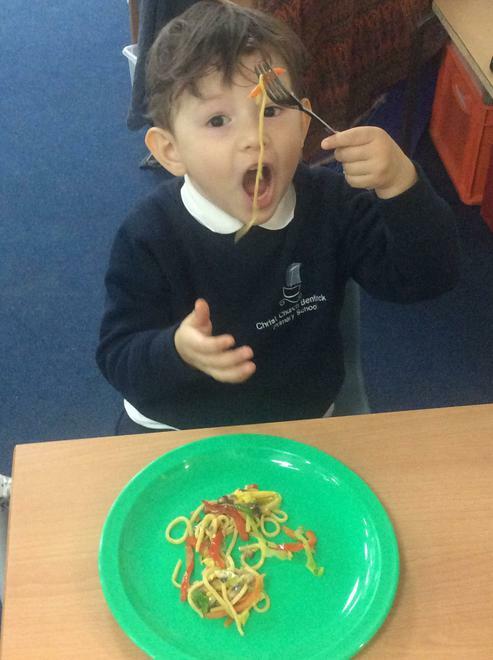 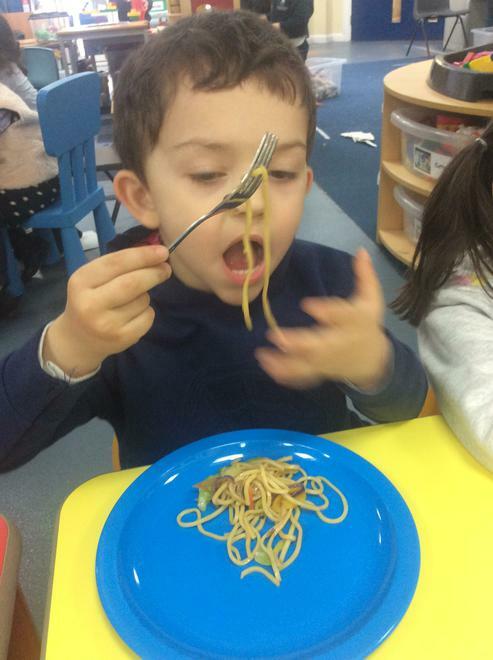 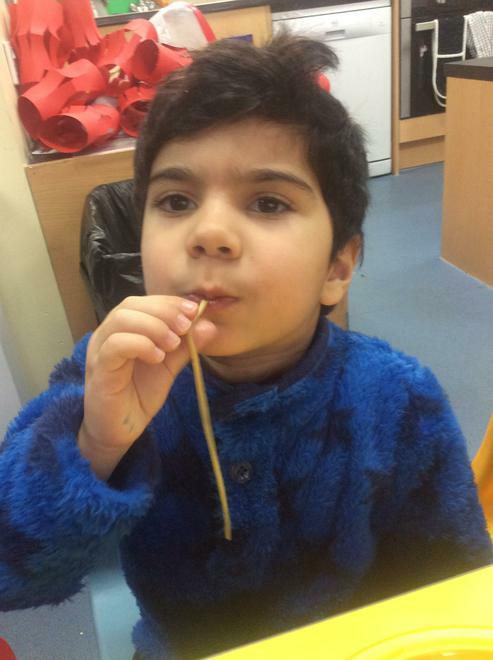 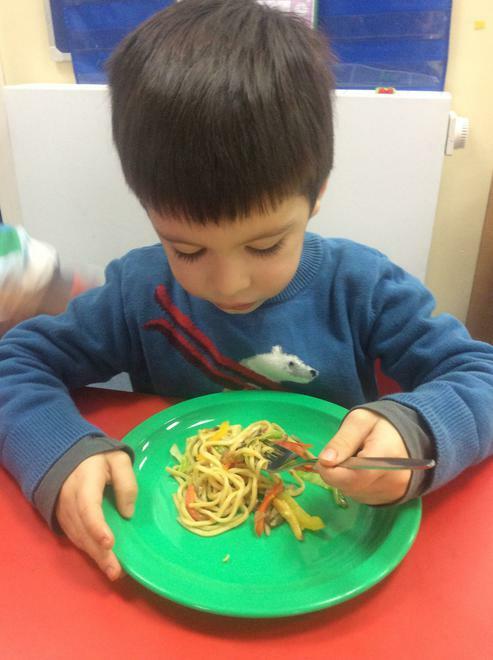 We tasted noodles for Chinese New Year celebration. 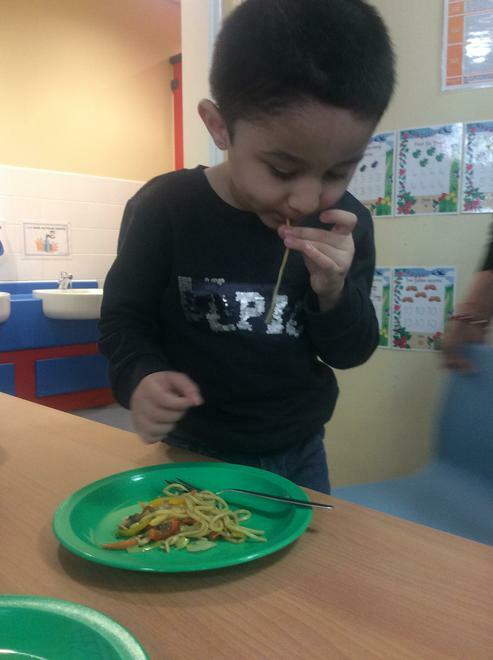 We enjoyed it. 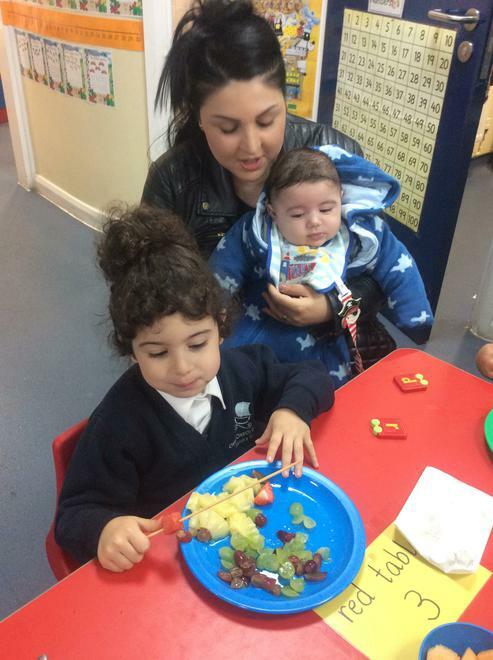 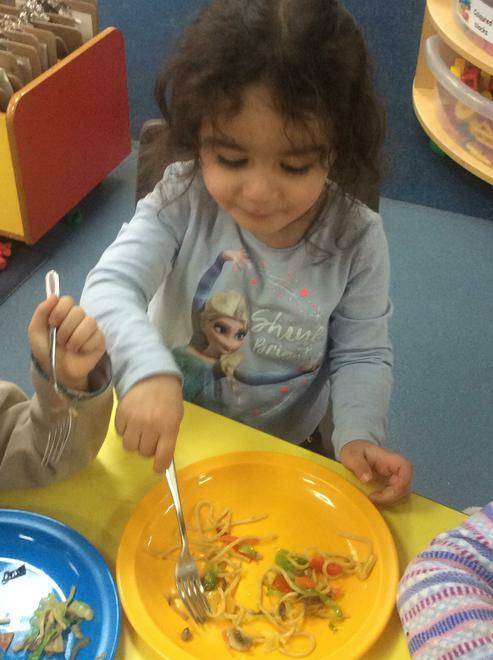 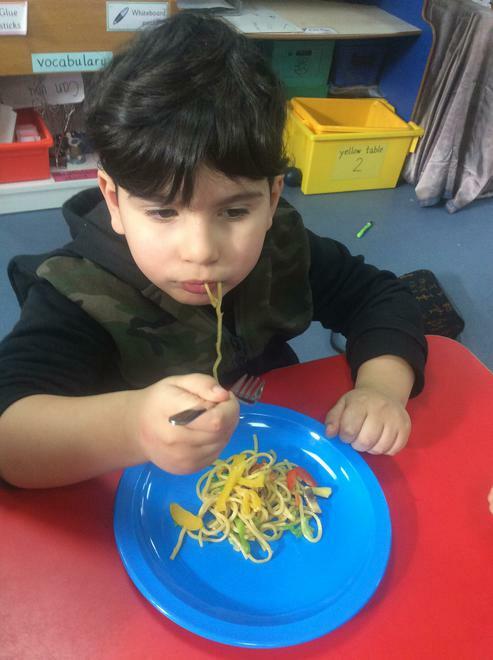 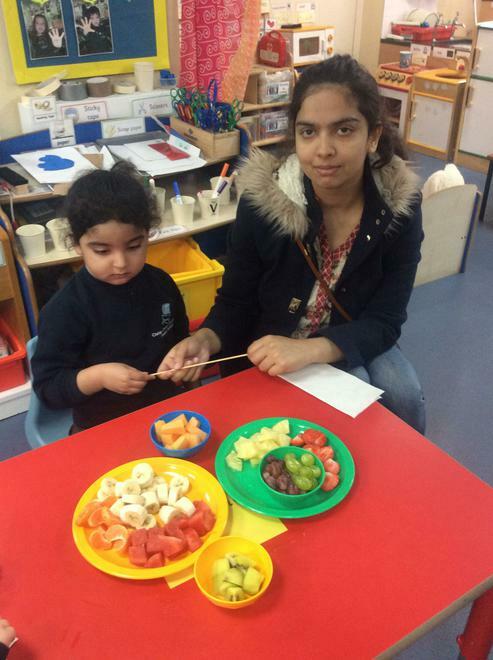 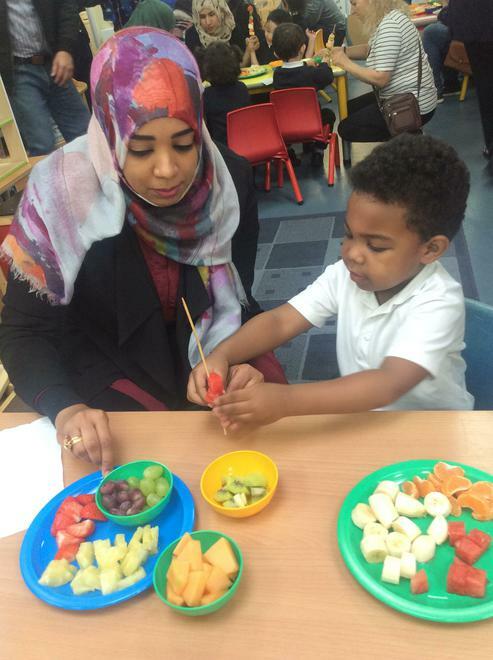 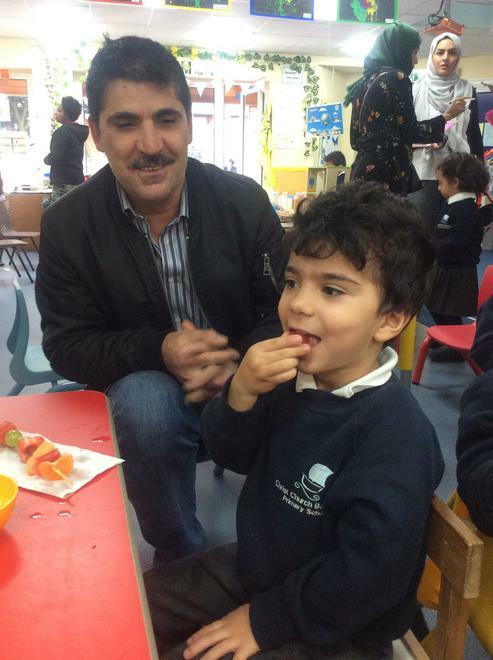 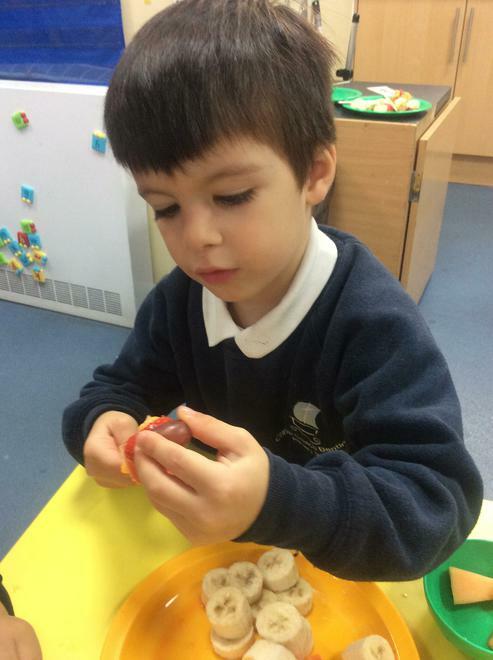 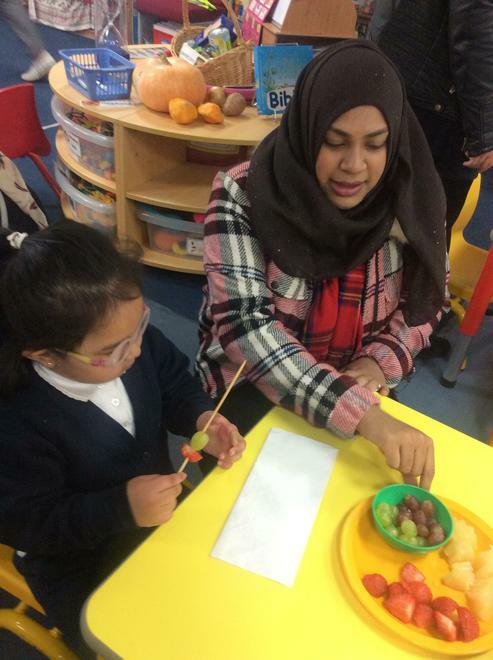 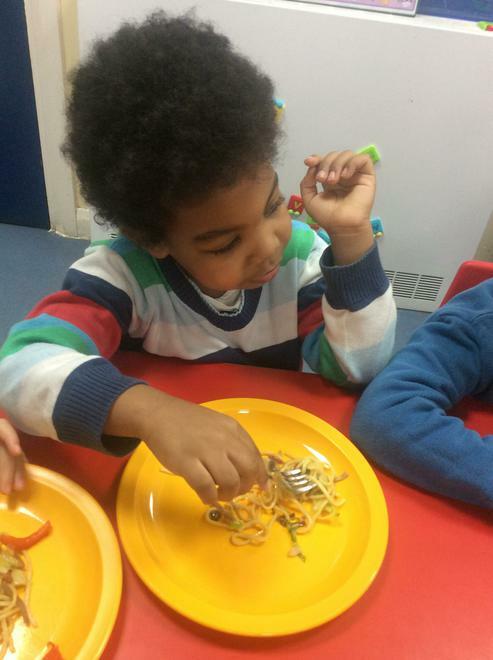 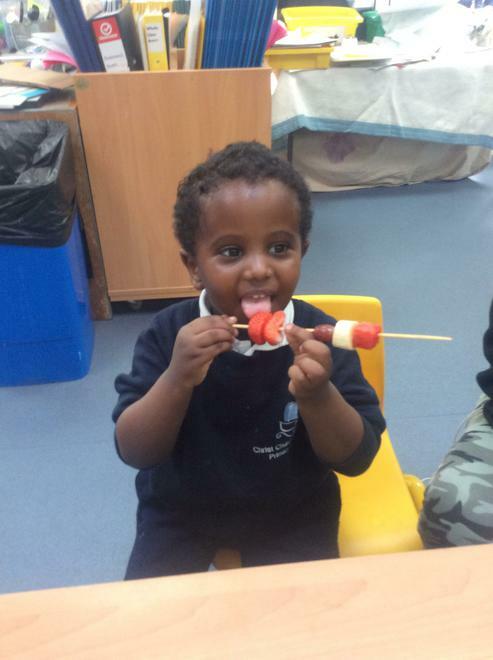 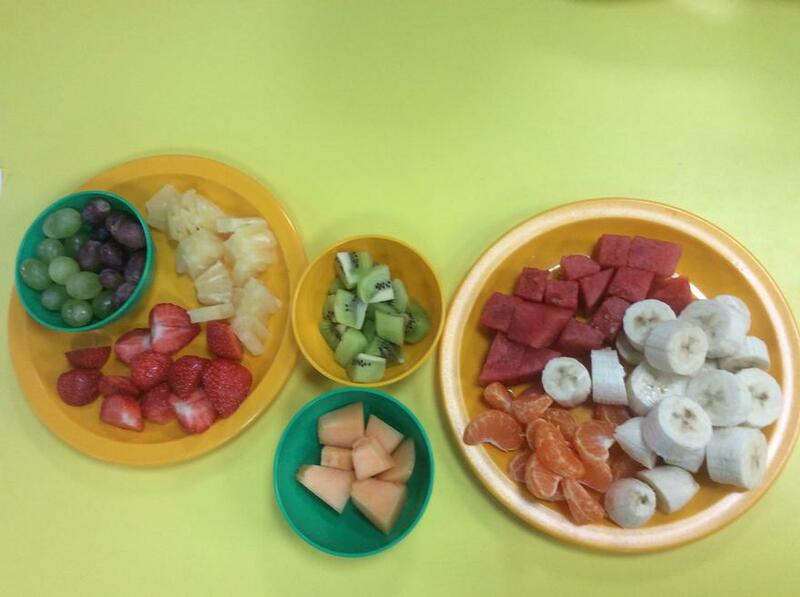 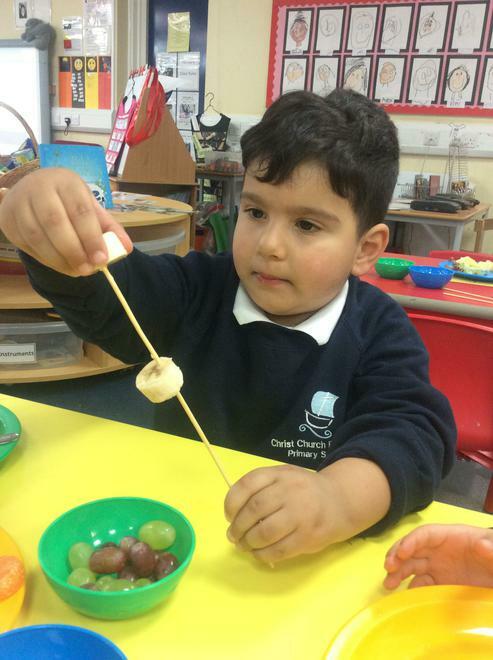 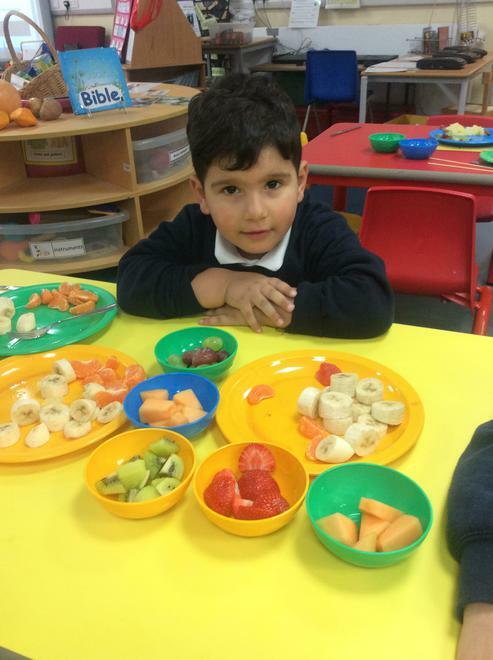 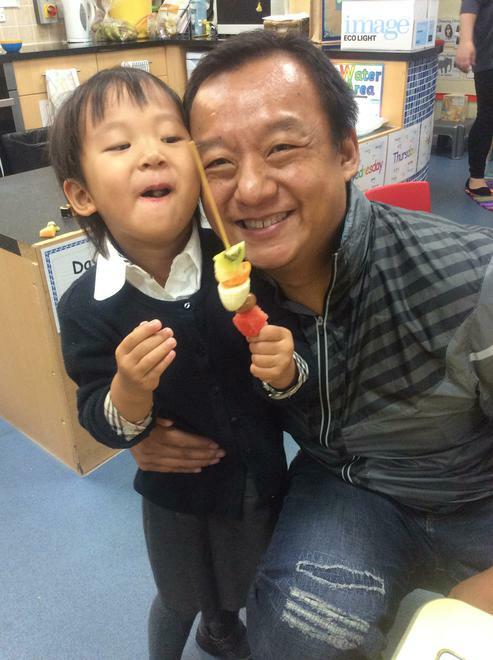 We are learning to eat healthy. 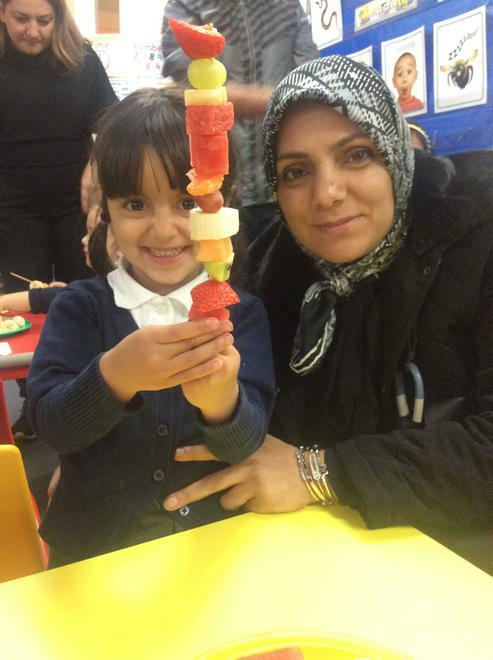 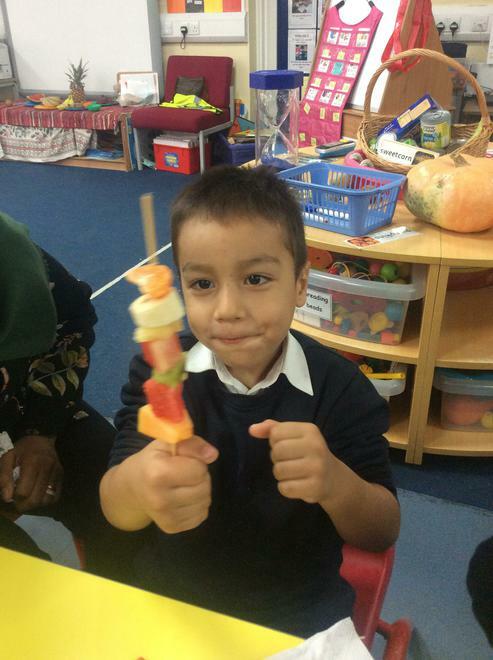 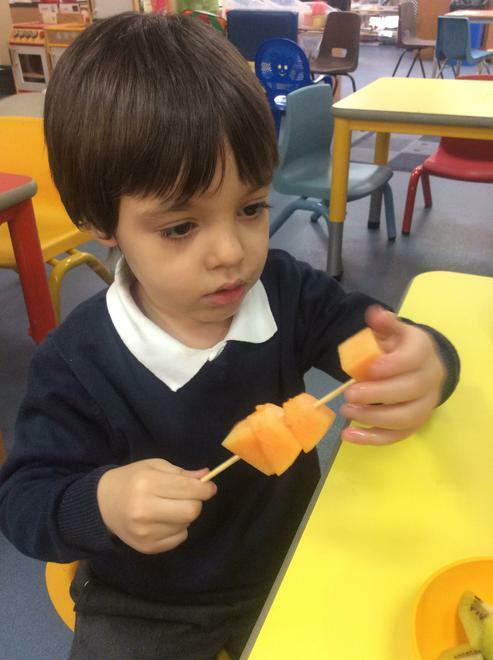 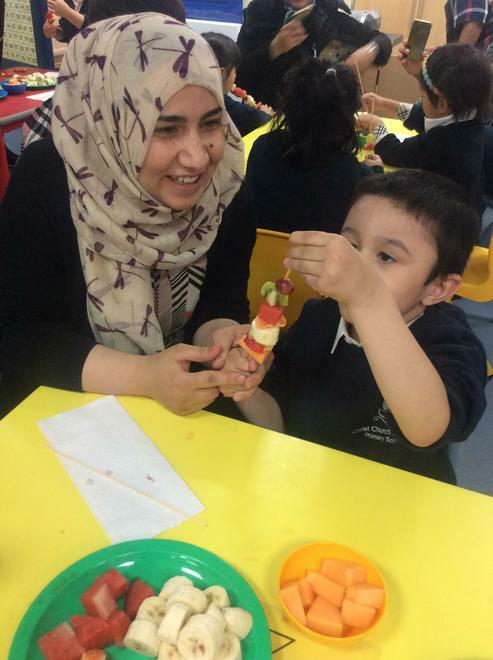 We are making fruit kebab.